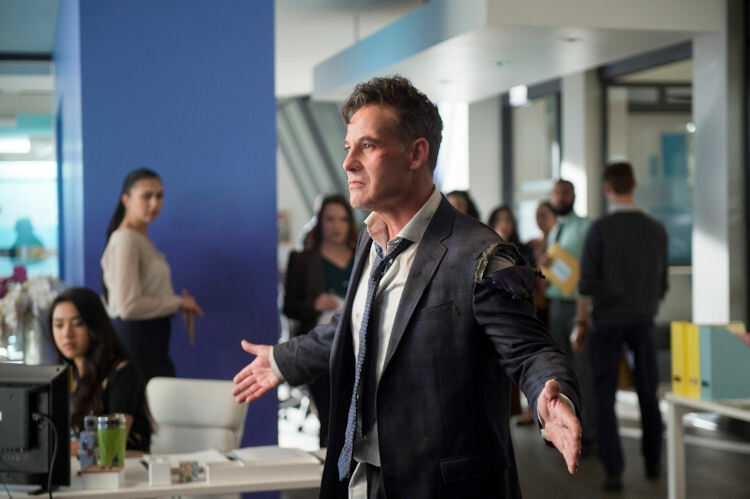 What’s the scoop: Hey remember when Adrian Pasdar was on this show? 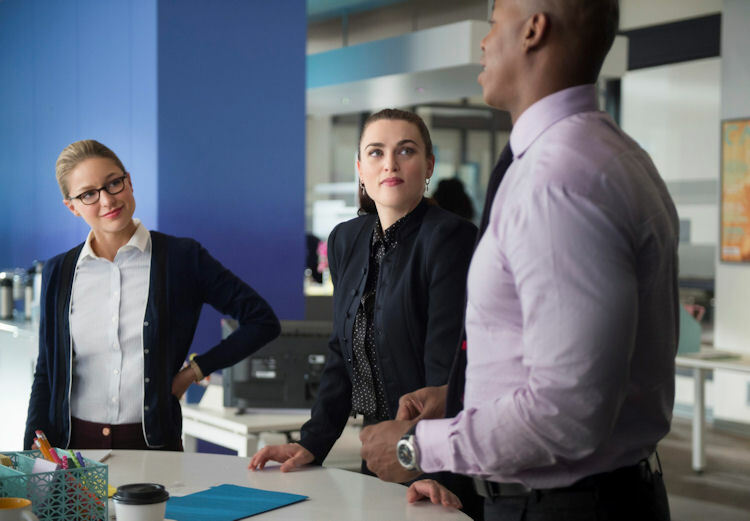 In the time since dealing with Reign, the Lena Luthor-Morgan Edge rivalry has shifted to the back burner, until this week. Edge is unusually disheveled, which you probably would be if your car went out of control and tried to kill you. Of course he blames it on Lena and her guilt by Luthor association. 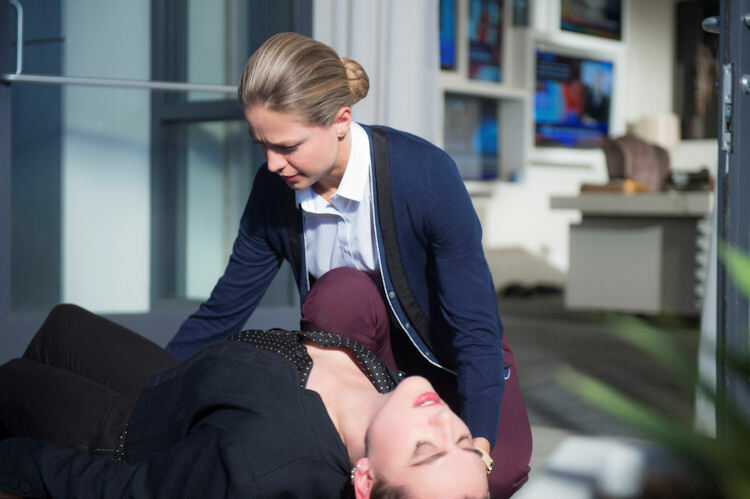 After a confrontation in the CatCo offices, Lena is poisoned, and Kara rushes her to the DEO for treatment. After coming to, Lena starts doing the math and discovers it’s her mother who is behind the attempted murder. Mama Luthor’s mission is two-fold: eliminate the jerk who’s been making his daughter’s life a living hell, and bring out Lena’s inner deviousness for the forces of evil. Meanwhile in B Plot Land: Hey remember when Alex was a doctor? Yes, those three episodes in Season 1 were magical. Alex dusts off her stethoscope this week in order to help Samantha discover what’s wrong with her. Samantha is run through a battery of tests and there doesn’t appear to be anything amiss. It’s worth noting that Alex was able to draw blood from Samantha, which may be important down the road. Meet Me on the Balcony: Kara loves a good balcony. It’s a great place to ponder and get pep talks. This week J’onn gives Kara her weekly boost, after he sees her pondering. What about the action: Hey, remember when Jimmy thought he was a superhero? In order to help protect his new lady love, Jimmy trots out the Guardian armor for the first time in a while. He need not be so concerned, because Lena is one resourceful lady. Lena hatches a plan to take care of many of the problems in her life without anyone really getting hurt. She deduces that her mother is going to try to kill Edge at a gala using a drone. Lena gets close to Edge, and tells him she’ll neutralize the threat if he confesses to the assassination attempts, and to poisoning all those kids with lead. He resists at first, but sings like a canary after a few laser shots were fired in his direction. This also triggers a needless and hastily executed game of follow the bouncing recorder, as Mama Luthor shows up and is all upset that her own daughter is foiling her plans. Mom goes to Plan B, which involves Lex’s old exo-suit, and a lot of mayhem. Kara tries her best to stop the rampage, but is held at bay because the suit is kryptonite powered. Luckily Mon-El is there and with some help, he hacks the murder drone and uses it to blast the armor, and save the day. Life is good for Lena as she sees the two thorns in her side getting carted off to jail. What’s next: We’re back to the search for worldkillers and Kara knows who the first candidate is. Last impressions: Let’s face it, this was the fillierist filler episode that ever filled. At least the creators of the show weren’t cheap to boot. While we didn’t get a lot Kara in the cape this week, the big sequence at the end was pretty impressive, but even that couldn’t save the episode. Supergirl has us all in on the Reign storyline, so this side quest with the third-tier members of the cast was unnecessary and unwanted. Thankfully, the series gets back on task next week without the need to take a plunge through the character archives.